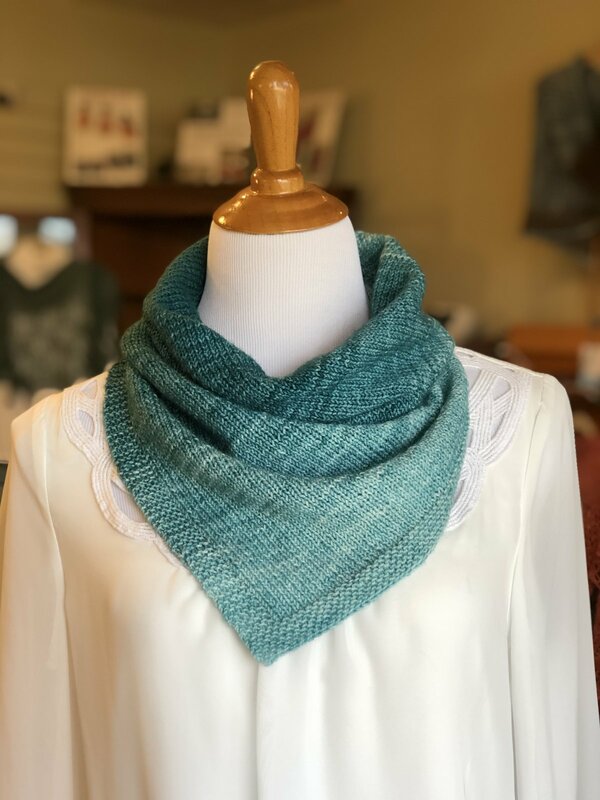 Knit this gradient cowl designed to mimic the look of an asymmetrical triangular shawl wrapped around the neck. Worked flat from side to side in stockinette stitch with a simple stripe sequence that blends 5 colors of yarn. It’s a fun and quick knit and you have several beautiful gradient color sets to choose from! Materials: 1 Mini Gradient set by Dirty Water Dyeworks, Size US 3 24” circular needles, Removable stitch markers, tapestry needle and pattern. Pattern is available for purchase in store.